Yar har har! Patch 5.15 is on the way and the official patch notes have been posted! 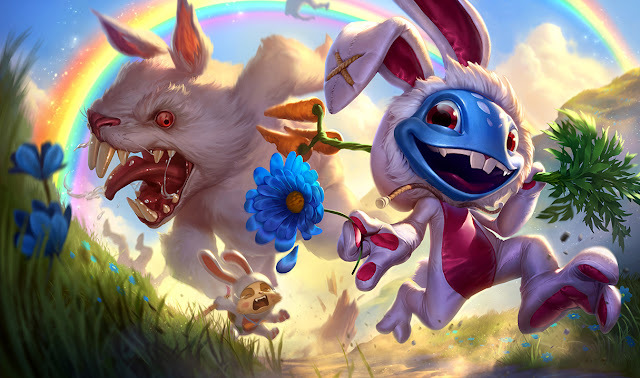 Continue reading for the complete notes, including a look at the post-Burning Tides updates to Gangplank and the Captain Gangplank skin, a new Cottontail Fizz skin, Fiora's champion update, Teemo changes that allow him to toss and bounce his R mushrooms, and much more! Welcome to Patch 5.15, the small one where we sit back and let the game catch its breath for a sec. What with all the updates recently to jungle items, game balance and burning tides (thanks, Miss Fortune), we figured it best to enjoy a lighter patch where we focus on some pro-play outliers and watch the ever-evolving metagame take shape. So kick your feet up, this one's on the house. Diving a level deeper, we do have some sizable changes for Teemo to give him more control of his destiny in fights rather than setting up minefields and hoping folks'd walk into it. If you're someone that wishes we'd delete him instead, we suggest you try out Fiora, who’s got a set of updated Demacian duds and slick new moves to help you take out the furry little monster in style. Random aside: did you know Teemo's last buff was 3 years ago? We thought you'd like some trivia dressing with your foreword-salad. We've never really thought of the foreword as food before, but salads are healthy (and so is context). That's about everything for 5.15. Check out our HUD update post to read up on the juicy feedback-driven changes being made (or head to the patch notes below), as well as our new ward-skin selection tech, and we'll see you next time! Gangplank is back. Q auto-acquires at a much smaller radius. Gangplank gets steady Silver Serpents on alternate maps. 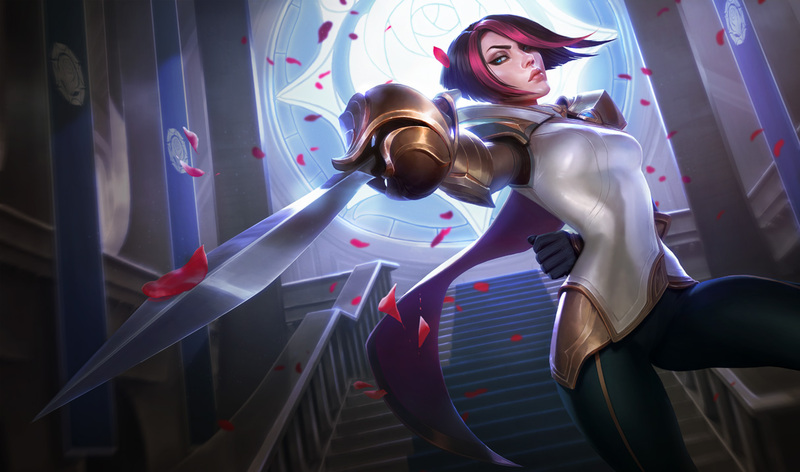 Fiora, the Grand Duelist, will be updated with the launch of 5.15. Head to her update article for details on her new look and kit! Q cast time up and damage down. W's vision greatly reduced. As one of our more unique and polarizing champions (due to her ability to run away with a lead) Nidalee's been out of the patch notes for some time. For 5.15, it's the same old song-and-dance - increase the risk she has to take on to succeed with her aggressive assassination patterns. Tossing massive Javelins and stalking the weak is most certainly a hallmark of Nidalee's playstyle, but the number of tools she has to choose her engagements leaves her opponents without much of a say. These changes continue to pressure Nidalee to really commit with cougar-form takedowns, instead of constantly fishing with poke from afar. They also open up more ability to evade Nidalee’s attempts to continue the hunt once she’s got her eyes on you. R's movement speed starts lower, but scales back up. Allies entering R's radius share Sivir's current speed bonus. On the last episode of "Sivir Patch Notes" back in 5.11, we talked a lot about Champion diversity as it relates to Sivir and her enabling of hard-engage (and disabling of other strategies). We'll chill for a sec if you want to read that one over again. So what's changed since then? Though there's slightly less Righteous Glory and a little more poking and split-pushing, the landscape remains mostly the same - that is to say, teams with Sivir become 'hard-engage' simply by picking her and often snowball out of control beyond the first few engagements. Instead of nerfing Sivir just enough to get off the top (which usually only results in the next marksman taking her place), we're trimming some of the more invisible fat around her ultimate and giving opponents a better read on when her team's getting ready to pull the trigger by grouping up. To clarify on the change below: previously, even walking through On The Hunt as it ended, you'd get 2/3/4 seconds of 60% movement speed. With this change, the buff is shared - If you're with Sivir when she starts things off, you'll get the full 8 seconds. If you join later, you'll get whatever's left of the buff. No excuses for showing up late to a hunt! Zeke's buff lasts longer, but takes longer to build. We’re really happy with how this item’s played out since its addition, so we’re only lightly tuning Zeke's this patch - Harbinger's tide-turning buff is definitely the highlight of a fight (assuming you can get it off), but often times it doesn't last long enough to herald any sort of meaningful effect. To make good on our promise of an 'offensive support item' and let you bring pain from the duo lane, Zeke's will last longer at the expense of some stacking speed. This is to really reward those that coordinate their build-up before letting loose a long-lasting friendship-fueled rampage. That said, AP Jungle Xin Zhao with Zeke’s is a thing you should try at least once in your life. You’re welcome. We're making our first update pass on the new HUD based off of player feedback and it’ll be heading to ranked queues with this patch. Our major themes are across-the-board readability improvements and quality-of-life tweaks! Critical Strike Chance and Attack Range have swapped positions. Crit chance is now in the default view, while Attack Range is in the expanded view. As mentioned at launch, the Instant Feedback System was originally tuned conservatively to avoid false positives. Now that it's been in place for a few months we're ready to start taking the training wheels off. In particular, the system is now more likely to punish hate speech after just one incidence. When Champion Mastery launched a while back, we decided we'd wait and see how the rank 4 and 5 emotes were being used before making them visible to the enemy team. Fast forward a few months and, after adding in a light safeguard to ensure players can opt out of emote spam, we're ready to let you show your achievements off to everyone in your matches! You can choose your ward skin in champ select. Maybe your friends will finally start warding now. WARDSKINTIMIDATIONYou can now choose a ward skin in Champion Select! WARD YOUR WAYThis feature hasn't been added to Team Builder yet, so make sure to hit up the store and select your ward skin before readying up! Here's a brief look at a few of the new things included in patch 5.15, including things mentioned above in the patch notes and things discovered during the last PBE cycle! Most of this coverage includes preview screen shots and video taken during the 5.15 PBE cycle and may vary from what is pushed to live. 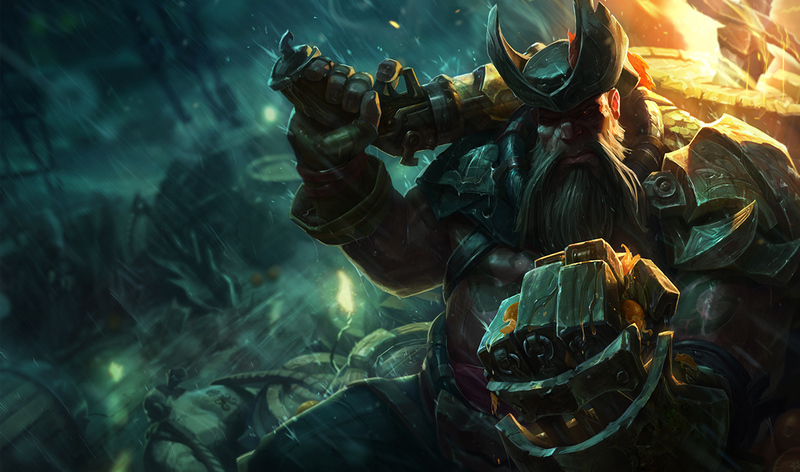 Following the story events from Bilgewater: Burning Tides, Gangplank's base appearance has been updated in 5.15. 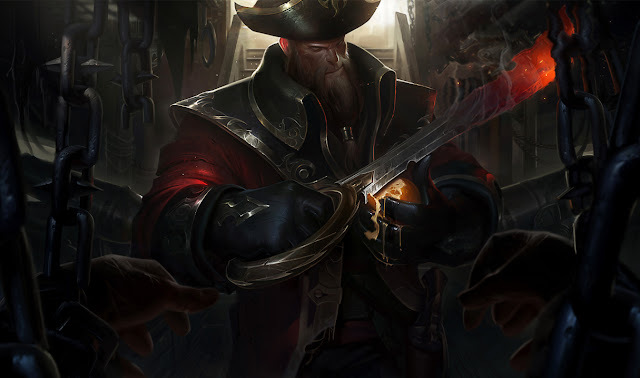 This "post-event" Gangplank includes a new splash, new in-game look, and a brand new voiceover that reflects the Saltwater Scourge after Miss Fortune's attack. With the changes above, the "pre-event" Gangplank appearance that originally went out as his base in 5.14 is now the CAPTAIN GANGPLANK skin and is FREE for those who own and play a matchmade game as Gangplank during Bilgewater: Burning Tides. Click here for more information! Click here for more information and be sure to get your game in by August 10th to earn Captain Gangplank for free! 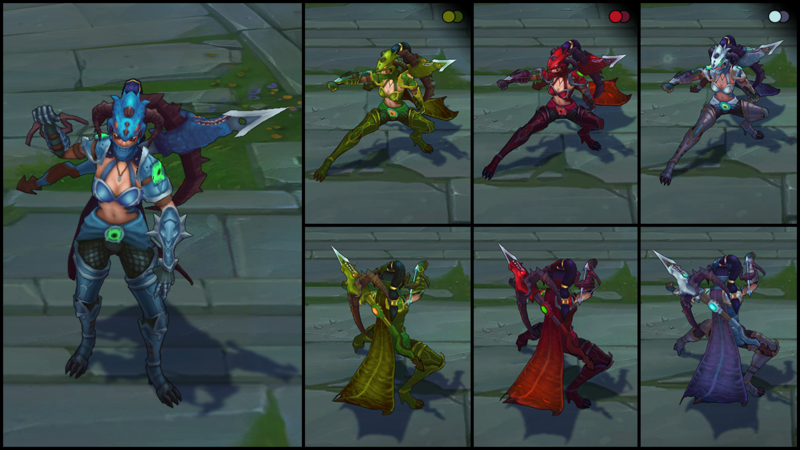 In addition to the gameplay changes mentioned above, Fiora has received a visual update! Check out the links below for screenshots and video preview of Fiora's updated skins! Check out the 5.15 PBE megapost for more info on Fiora's champion update! 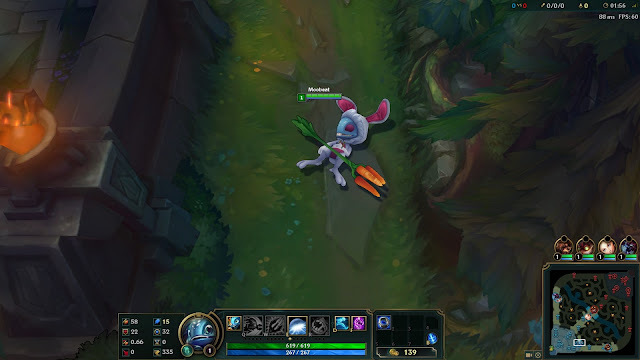 Patch 5.15 is set to include ONE new champion skins - Cottontail Fizz! As usual, no release dates yet for this upcoming skin but we'll have complete preview post ready when it launches! 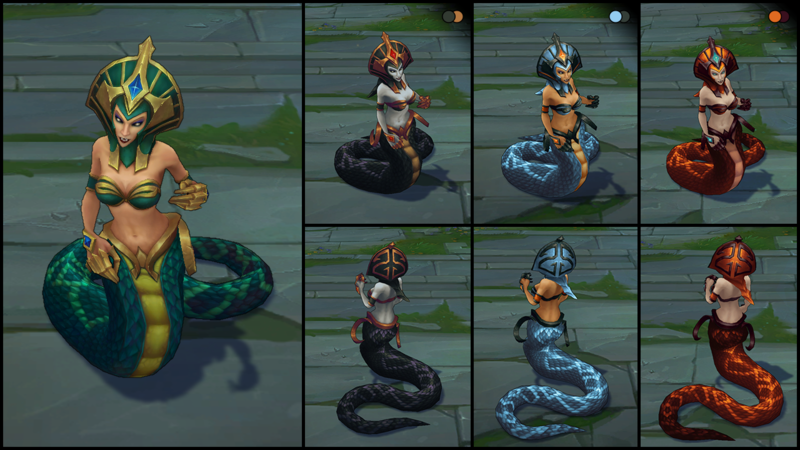 5.15 also includes a total of three new Chroma packs - Cassiopeia Curse, Dragonslayer Vayne Chaos, and Koi Nami Element. 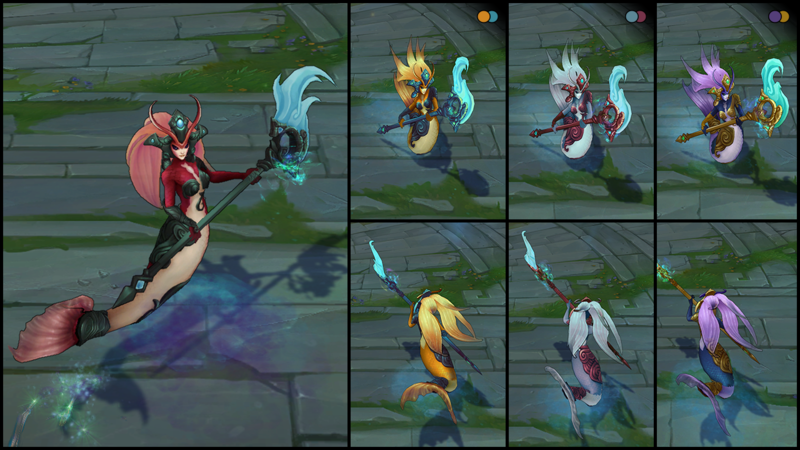 No release details yet but each pack will cost 590 RP and contain all three chroma. As mentioned above, Teemo can now toss and bounce his R mushrooms! 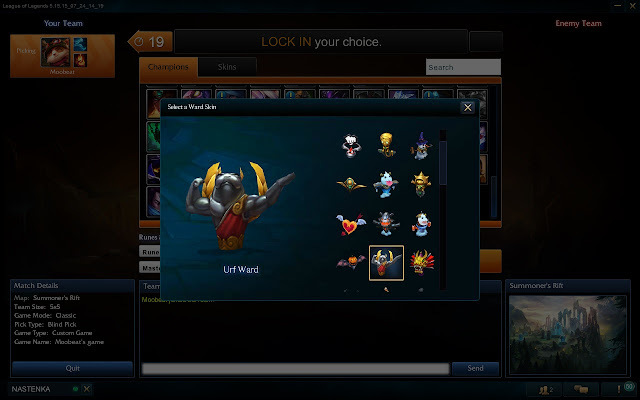 A new option has been added in 5.15 to swap your ward skins during champion select! We also have an updated login screen for Gangplank following the Burning Tides story!